Virtual Classroom interactive recordings are a feature available to premium customers and allows them to watch playback of every virtual classroom session. You must first log into your account in order to access the recordings. 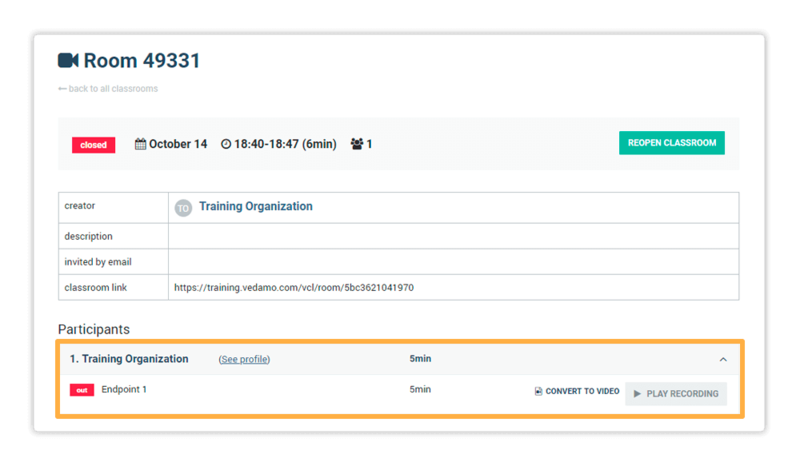 To access the Virtual Classroom interactive recordings, go to the Virtual Classrooms menu and find the lesson you want to watch. Click on the room’s title and then click on Play Recording. More information in the Virtual Classrooms article here. Upon clicking Play Recording shortly after you will see this window. Press Enter to watch the playback. Press the play button. Playback will begin and you can skip forward, pause the video or go back in the recording using the slider on the bottom. Going back in the recording reloads the page and once you press Enter again, your recording will continue from the point that you chose. You will have the option of picking a portion of the recording to start converting it immediately. You may do so by opening the control box labelled Recording Controls, and clicking on the red dot icon. You may drag the green slider to specify exactly which parts of the recording you would like to convert. 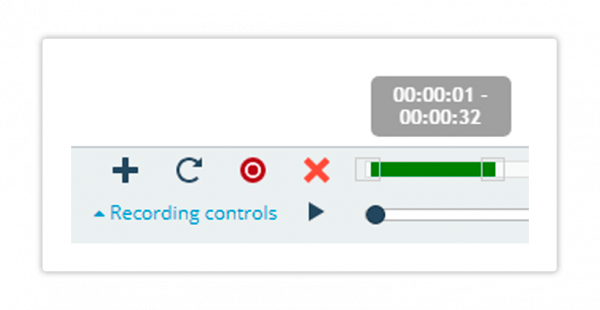 The curved arrow icon will allow you to clear any recording ranges you’ve set, while the plus icon will permit you to add another recording range for potential conversion. There is also the option of converting the archive into a video file. To do this click on Convert to Video in the room details (next to Play Recording). Once the converting is finished, you can download the file. Click on the Download video button, which will appear on the same page. You also have the option to choose whether you want to keep recordings of your virtual classroom sessions. 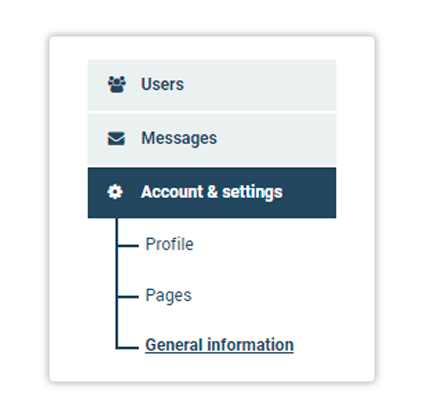 Navigate to the Account and Settings menu > General Information > Interactive archives. Ticking the box means that you choose to keep the recordings. The default setting is ON (box ticked).